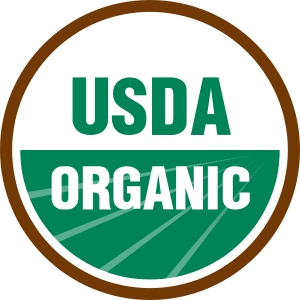 The organic stamp of approval is highly regarded because it means that the foods that carry it haven't been exposed to pesticides, fungicides, insects, pests, etc. - unlike their "conventionally grown" cousins. Yuck! Some of the produce on the dirty dozen list are sprayed with pesticides DAILY before they end up on the produce aisle of your local supermarket - beautifully waxed and oddly shiny. I always wondered how apples looked so beautiful after withstanding the elements. Yucky wax, that's how. Ingesting pesticide is not AS BAD as NOT EATING ANY produce at all but I'd think most of us would want to eliminate the amount of toxic chemicals in our bodies. (Personally, I'd rather drink tequila).